Do I want to start out in a gym, dance studio or my own place? You must own a Dance Trance license to hold Dance Trance classes at any location. Our license package allows you one location and up to 10 instructors in that same location. Our choreography is Dance Trance copyright and cannot be used without our permission. We always recommend starting out in a gym, dance studio or fitness facility unless you have money to invest in your own start-up business. There are pros and cons to each option, but teaching Dance Trance in a facility that has a large base is priceless. It allows you no or low overhead and less stress on trying to make it on your own. You can always opt to move out on your own at a later date. For success starting up inside a gym, look for the hottest, most popular spot in your area. This is the place that will have the most members and will offer you the largest base of students to draw from for your new program. Gyms generally have thousands of members, so all you’ll need to do is promote to them and the general public in order to have a booming class. We want to stress that the gym will not advertise for you, you should treat this set up just as you would your own location and promote continually throughout the community. Internal and external promotions will only be as successful as the amount of dedication you put into your promotion. Grass roots campaigns bring in the highest percentage of responses (see licensee program manual). Restrictions on music language & etc.. 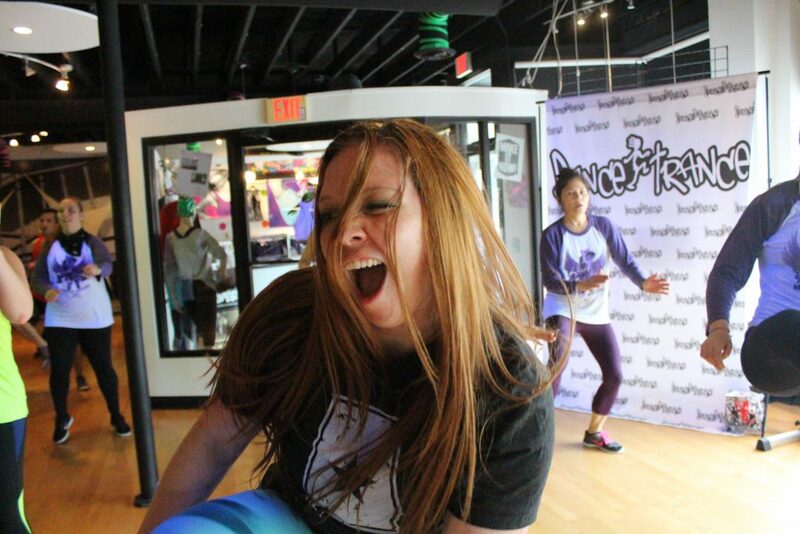 Starting up in a dance studio will be just like owning your own facility. It can be good practice for those that want to learn how to promote and grow on their own, but does not offer a great base of students for start-up. Traditional dance students will not be a majority of your clientele; so do not count on these students to fill up your floor space. This is a good option if you already have a student base but want to try out what it would be like to own your own studio. It will require a lot of promotions and getting the word out about Dance Trance. We suggest not paying a price per class to open, but try to split profits 60/40 or 50/50 with the owner. This reduces your risk. If you pack out these classes, you’ll get paid for it!! Ahhhhhhh. Owning your own studio can change your life! It’s fabulous and fun but also a whole lotta work. We recommend that you have a huge base of students before moving in to your own location. You will need monies for build out, audio, lighting, flooring and supplies in order to get started. You will also need reserve monies for promotion and marketing. Studio start up can range from a few thousand to hundreds of thousands of dollars. If you don’t have the funds for a new business venture, then we suggest looking at splitting profits at a studio or space that is already furnished and has availability for your classes. Once your program is the hottest thing in town, then it’s time to think about the move to your own location. Note: There are studios in our program that have started out from scratch at their own location and been very successful. This is definitely an option and we do not want to discourage you from building your dream. We just want you to know that it is not as easy as just opening your doors!! You can do anything you want!!!!!!! It’s your studio! Note: We run other classes out of our Jax studio and we recommend that you run as many classes as you can to fill up your schedule. You will need an active, edgy studio to make it more attractive than the local gym. We also try not to run regular classes that you would find at the local gym as you cannot compete with the $10/month gym in a box business. Edgy and quality classes that you can’t find anywhere else really work for us! How do I teach my first class? Start up programs usually start out with a class they just call “Dance Trance” plus a slower “101” class. This puts all students on the same page for the first few months while you try and meld the program to fit the needs of your students. You will need to give the students a taste of high cardio class but also break down instruction in order to gain clientele. To be successful, you’ll need to offer at least 3-4 classes per week. Dance Trance is not a program where you can just pick up once a week. It is a dance based class and requires repetition in order to learn the routines and format of the class. Having a small number of classes available will just make students frustrated and they will not return. You do have to weigh your options however and if you are trying to just “get in” to a space, take what they have and try to add classes when you can. Important! Talk to them and let them know the format of the class. Make them comfortable. 2) Turn off the music and explain the song in order like we do on the instructional DVD. You can make it a little slower or faster depending on your class. 3) Repeat the song again on the beat now that they have it. Try to get through 3-5 routines and make sure you select a easy high cardio routines so they will get a good workout. Stay on 5 routines for the first month or two. Start to add in new routines when your group grows to a larger number or students or they are repeating classes. Repetition is key, so changing routines too quickly will make them frustrated. Introducing one or two new songs per month is plenty for a start up program. More information on how to teach DT is in your program manual. We have specific methods for flow of classes and etc. written out in detail for you to reference. Do I need to pay my instructors? If you can make it by having your instructors volunteer to teach for free access to classes, this is the most preferred way to add instructors for your program. Most students are really excited to be a part of this program and we have found it is not hard to find those wanting to be instructors. (See program manual for what to look for when hiring). Once your program takes off, consider paying instructors to keep them on your team. Money is a great incentive to teach elsewhere and you always want to keep your best teachers. If you pay your instructors there should be a training period where they work and learn until ready to handle an entire class on their own. We recommend you not pay instructors until they meet your criteria and can be officially on the schedule. Set up W9s for each instructor to avoid having to subtract taxes each month. This lets each instructor be an independent contractor. You will have to furnish them with a 1099 report at the end of the year. It’s recommended you get an accountant to help with reporting and management. Do I need a software system? We recommend signing up with the mindbody software system only if you have the funds to starting paying for software. The system is fabulous and saves tons of time on payroll and accounting. It can even send auto emails, birthday emails and automatically add new students to your constant contact list. We have a corporate account with mindbody, so this software is already set up to be efficient for Dance Trance studios. Because you belong to the global Dance Trance network, you also now get a FREE month when you sign up with Mindbodyonline. This is almost priceless for a large studio, but it can be handled via paper and spreadsheets until you can afford the package. You can ask us for contact information once you obtain your license. Pros for starting out with this system from the beginning are that you’ll have all your data online and available from your start up date. Some studios prefer just to go ahead and get everything online. It also allows students to purchase classes and packages from you directly from our site. How much do I charge for class? Now that you are ready to roll, you have to come up with price points for your program. This is a very important step in your set up process. Make sure you get it right. The first thing you need to do is research your area to find out what they are charging at local yoga and stand alone dance centers (if you are in your own location). Your rates should be close to these prices in order to make profit. You can always offer discounts and specials. You want to offer extreme discounts and free passes when you start up. Just getting people to come in the door is half the battle. Don’t worry so much about purchases as you do about numbers. Get them in there!! All of our rates are listed online at www.dancetrancefitness.com. We recommend starting on what you might consider a high pay scale and holding specials instead of making your class a cheaper buy. Having a high price point tells the consumer that is how much you value your program. You do not want to compete with the $5-$10 gym classes and to be honest, what you are offering is so much more. Dance Trance is not a simple fitness class or even a Zumba class, so don’t devalue your program and offer it at the same rate. Stand alone Dance Trance programs are usually run as a dance studio experience that includes lifestyle events, and we and charge accordingly. ($15 – $28 per class). If you are in a gym however, you need to go with the rates offered at the facility. They will not pay higher rates that what they are use to paying in that specific location. Your goal there should be to increase your numbers and have the hottest class in the city! Being located inside a gym is all about promotion and gaining a large student base. At a later date you can approach management about splitting revenue or offering to rent space. Feel free to call us at anytime to discuss your program or start up of a program. We have a great global network that is expanding rapidly. We would love to have you join us and provide others the opportunity to experience this incredible thing we call Dance Trance! I started dancing when I was 4 years old and quit my senior year of high school. I really missed dance and this was a great way to get my fix with dance and get exercise! I LOVE IT!! The instructors are great and the dances are great! The hour goes by way to fast. It is a great way to get exercise and I enjoy dancing. It is also a great way to meet new people. DT for me started at a low point in my life. After years of graduate school and eating late at night during study sessions, I gained over 100 pounds and now weighed over 300 pounds. During a doctor’s visit, I also discovered my blood pressure and cholesterol level was borderline high. The doctor suggested I be put on medication for the rest of my life. That experience scared me really bad. I asked her for a one-year waiting period. Then I set out to lose weigh and change my eating habits. After years of diet failures, I asked God to send me something he knew I would do and do consistently. I walked into the door of Steel City Gym and my life has not been the same since. My first song was PM dawn’s song “I’d die without you.” God has answered my prayers. And that stared my DT journey. As a result of my consistency and dedication to DT, I have lost 145 pounds. I also have experienced drops in my blood pressure and cholesterol levels. Dance Trance has changed not only my body and my health but also my spirit. Through DT, I have learned how to love harder, longer and more often. I truly couldn't imagine life without DT. About six months ago a friend of mine told me about this fun class she took called Dance Trance. I asked her “what the heck is Dance Trance?” She said "it's really fun you should try it." So I did, and now I’m hooked! Great workout and lots of fun! The people are all so nice and the classes are great for my schedule. Sarasota Dance Trance Rocks my world!